Environmental badges have been created to identify how much vehicles pollute the environment. There are five categories, although only the cleanest four have labels. Petrol cars registered before 2000 and diesel cars registered before 2006 are the most polluting vehicles, and consequently, they are the only ones without a badge. B corresponds to petrol cars from 2000 and diesel from 2006 to 2013; C corresponds to petrol subsequent to 2006 and from petrol subsequent to 2014; Eco, hybrids in general; Cero, the electrical or hybrid ones with an autonomy of more than 40 kilometres. Can I go to the city centre by car? Residents can go and park in their neighbourhood. Non-residents can enter Madrid Central as long as they have their environmental badge. The problem is where to park their vehicle. Only Eco or 0 emission cars can park in parking surface areas, the rest have to park in any car park of public access. If I’m staying at a hotel, can I go with my car? If this is a hotel with a car park associated to Madrid Central’s system, you will be able to get in and out of the car park without any hassle, as long as you have the environmental badge. Another option is checking if the hotel has ascent and descent reservation for travellers, but the hotel must arrange the accesses. The last possibility is for the hotel to use one of the 10 monthly authorizations that they have. Can I be fined if I’m not using the environmental badge? 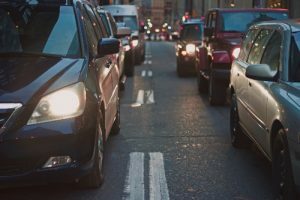 It will not be mandatory for the vehicles driving in Madrid until April 24th, 2019. At any post office. You only have to take the original free circulation license of the vehicle and an official document (ID, NIE, Passport). What is the area comprised in Madrid Central? Traffic signs and pictographs have been installed in roadways for you to be able to identify the area affected by traffic restrictions. Anyway, you won’t be fined during the first two months and both Mobility Players and the Local Police will inform drivers about these new measures. However, after two months, when the control will be done with cameras, notifications with penalties will be sent but won’t be charged. Is that clear? It is important to avoid unnecessary fines that could spoil your wonderful holidays in the capital of Madrid.